Raynor Winter Promotion Going on Now! 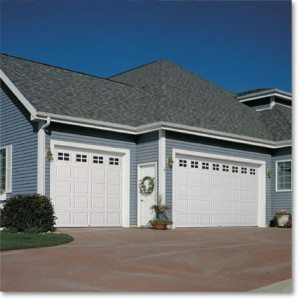 Winter will soon be knocking at the door…your garage door that is! And FS Construction & Raynor is here to help you conquer this coming winter with their Innovations Series promotion going on right now through October 31st. We want to make sure that you’re fully prepared for the long, harsh winter, so we’ve launched the Conquer Winter promotion on select high-energy efficient Innovation Series doors. Take advantage of this limited time offer and save on the purchase of any DesignForm and Innovations Series (Affina, Centura or Relante) door. All orders placed during the promotional period, September 15, 2014 -October 31, 2014, must ship by November 15, 2014. For more pricing and promotion details, click here to see how you can save and prepare for the predicted, harsh 2015 winter. To speak to one of our experts at FS Construction Services about how you can benefit from this promotion, contact us at 866-551-3454. Harvest is upon us and now’s the time of the season that many farmers are closely monitoring the progress of their developing corn crop. In a recent Production Solutions newsletter issued by Growmark Inc., they’ve highlighted very helpful indicators on what to look for when examining your crop and what farmers are currently witnessing. From the dent stage of corn to the physiological maturity, this information covers all areas of crop development that you’ll need to be aware of when harvesting your crop this year. Click here to read the full article. If you have any additional questions regarding the development of your corn crop, please contact our specialists at Gateway FS at 866-551-3454. We’d be happy to answer your questions and help you out in any way that we can. It’s September, which means fall harvest is here! 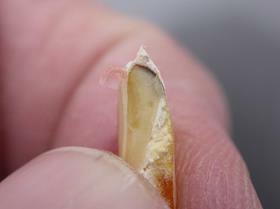 If you haven’t done so already, now is the time to evaluate your current grain drying system to ensure it’s up to par. Making sure all necessary equipment is updated, working properly and running at the best is crucial for maximizing your crop this fall. In order to successfully prep your system, you’ll want to carefully examine and test your equipment well prior to harvest. Did you experience any mold or spoilage after last year’s harvest? If so, that’s an indication that your drying system isn’t working properly or fast enough to dry the crop evenly. Feel free to give us a call to check out these systems prior to harvest. We’ll review your systems and address any specific challenges you may have faced last year with high-moisture crops. In addition, we’ll be happy to discuss new systems to expand your storage and drying capacity. Unlike last spring, we’ve had a good start to the growing season this year. We’re crossing our fingers that it continues and you have the need for even more storage. We encourage customers to plan now and be ready. Whether it’s an auger, new parts, new additions or an entire grain system update, we’ll help you to find the best option to fit your grain system needs in time for harvest. 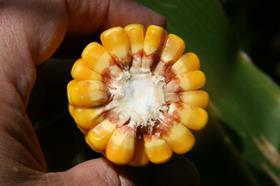 To ensure the best overall outcomes of your crop this fall, start inspecting your systems right now, it’s not too late! If you need additional assistance, contact FS Construction Services at 866-551-3454 to get in contact with our grain system specialists.